By Liz Dawn Have you ever been to a place that just hits you with its spiritual energy and transformational spirit? Sometimes it feels like a little jolt—a signal from the intangible forces that they are present and receptive to your seeking; or maybe a warmth radiates into your core, like a little welcome pat on the heart, saying, you are in the right place at the right time. Phoenix, Arizona is that kind of spiritual sanctuary, which is why it’s one of my favorite places to host Celebrate Your Life Events! If you’ve never been to one of our inspiring “soul love fests,” then you are in for an amazing experience. Our CYL team gathers some of the best and brightest stars in the world of spiritual teaching and healing together for a series of speeches, workshops, and seminars over a few days that are guaranteed to blow your spiritual socks off! Celebrate Your Life events begin with an outpouring of love and relief as you enter the building, the safe and glorious feeling of coming home, of finding your people, your tribe. Each attendee becomes a member of our Soul Tribe—which is an energetic bond as well as a Facebook group that you can join in order to keep in touch when you can’t be physically near your loving and supportive soul family. Just like Spirit, we are always with you, even when you can’t see us directly. While Spirit is always, always with us, there are physical spaces where spiritual forces can be felt more strongly, can be more easily connected to. In a place where the higher vibrations are already ringing like bells, you don’t have to listen as hard to hear them. The cosmic energy of Phoenix will heighten the life-shifting perceptions, insights, and transformations that occur when you Celebrate Your Life! It’s not just me who feels the sacredness of this land, sees Source in the giant cacti that stand like sentinels against the backdrop of red-hued rock formations and mountains. The sky here is so blue it’s like a painting—you might not believe it’s real. But the beauty is real, the energetic resonance is real, the magical journey that awaits you in this desert landscape is not only real, it’s essential to your soul’s well-being. Ancient cultures and Native Americans understood the resonance of the huge open bowl of sky, and some influence from those intuitive and spiritual cultures has remained embedded in the area. This historical link to Native American history makes it an especially powerful location to take part in Denise Linn’s CYL Phoenix workshop: Past Lives Present Miracles. (Trust me, this is not an exaggeration. Miracles happen frequently at CYL events!) Denise, with her friendly, intimate style, and Native American heritage, is the perfect guide to lead you into the past so you can heal your present and prepare for the future. At some point along your spiritual path, you have probably hit a roadblock that seemed to be impossible to navigate around, right? It happens to the best of us, which is why we need to keep learning, keep growing and stretching ourselves so we are better prepared for the journey and all its challenges. But sometimes, the block we have hit is actually much deeper, and can’t be tackled in this life, because it didn’t originate in this life. Past lives can wreak havoc on current incarnations. I know—as if we don’t have enough to contend with in this life! But there can be echoes of issues from past trips your soul made to the physical plane that may be raining on your spiritual parade, so to speak. For example, if you have seemingly incurable trust issues, you may have been fatally betrayed in a past life, or if you overeat unhealthily in the present, you may have starved in the past. Fortunately for all of us, we have Denise Linn to teach us how to get to the root of a problem that resides in a past life, and most importantly, how to clear it once and for all. 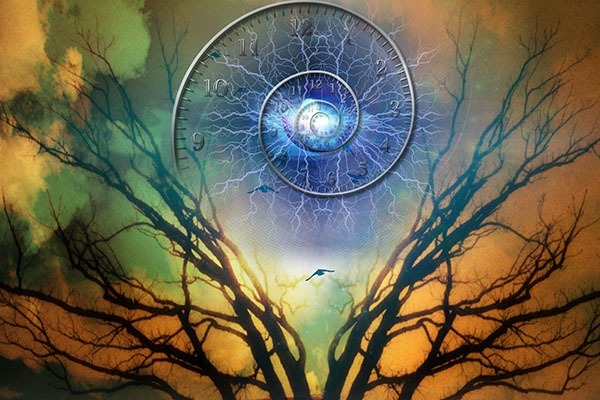 In this workshop, you will learn how to heal the past life (or lives) casting its shadow on your current incarnation, so you can remove the problem(s) completely from this and all future lives. Best of all, Denise’s belief that you need not suffer to heal means most participants find profound transformation occurs with relatively little effort. People walk out of Denise’s workshops visibly lighter, happier, and rejuvenated by the release of cutting such a long and heavy cord! Denise leads professional certification courses in past life regression all over the world, so you can trust that you are in good hands. She has the amazing ability to regress many people at once—an experience you won’t forget! Through the past life regression exercises in this empowering workshop, you will not only heal past life issues for present day freedom, but you will also get to learn about lifetimes you have spent with current loved ones, release karma, discover soul agreements, and potentially awaken abilities or special talents you had in past lives! There are no limits to the incredible life-changing doors you will open by journeying into your soul’s past incarnations. So come and join us in Phoenix >>> Who knows what Spirit has in store for you when you appear in the right place at the right time!